Well, 2016 can best be described (putting it politely) as a rum old year and TheEye is not sure how she will feel wishing people ‘A happy New One’. Being an optimist, she can but hope that the combination of Brexit, Trump, the deaths of several much-loved people – David Bowie, Leonard Cohen, George Michael, Carrie Fisher and sadly more – will not start the year off on a down note. It’s called ‘keeping your pecker up!’ She was also a bit cross with Bob Dylan, who won the (much deserved) Nobel Prize for Literature but didn’t bother to attend the ceremony and sent in his place a very second best Patti Smith. Of she we have heard too much, and she managed to fluff it…Oh Bob, why?? 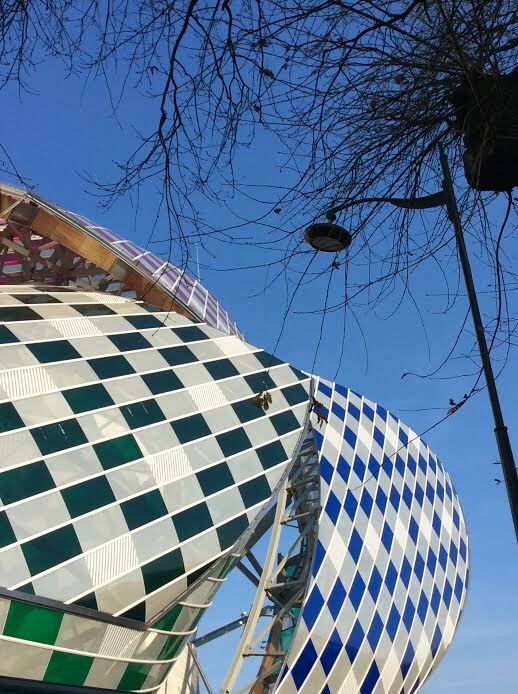 There is always a bright side and one of the best things TheEye did at the tail end of the gloomy year was a trip to Paris, looking glorious in the winter sunshine, to see the SCHCHUKIN COLLECTION at the FONDATION LOUIS VUITTON designed by FRANK GEHRY. 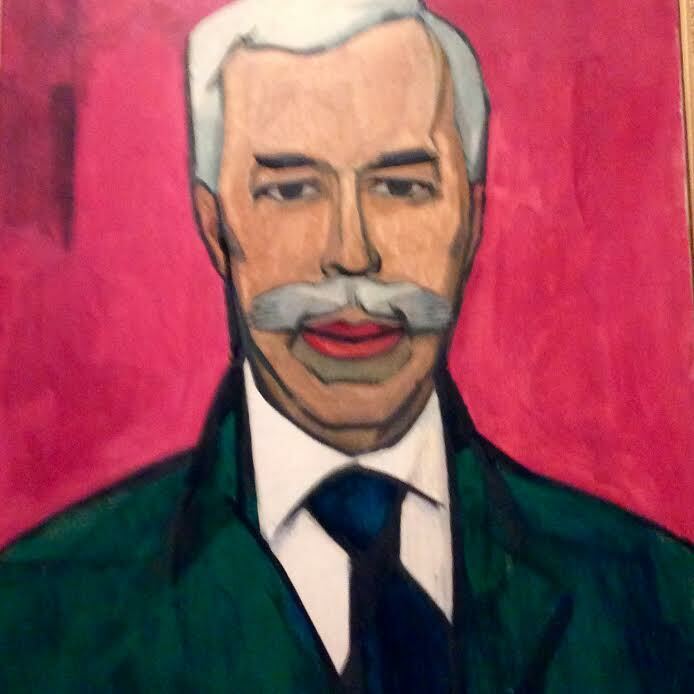 Sergei Shchukin (confusingly also spelt SERGUEI CHTCHOUKIN, Russian style ) was a wealthy textile merchant living in Moscow. 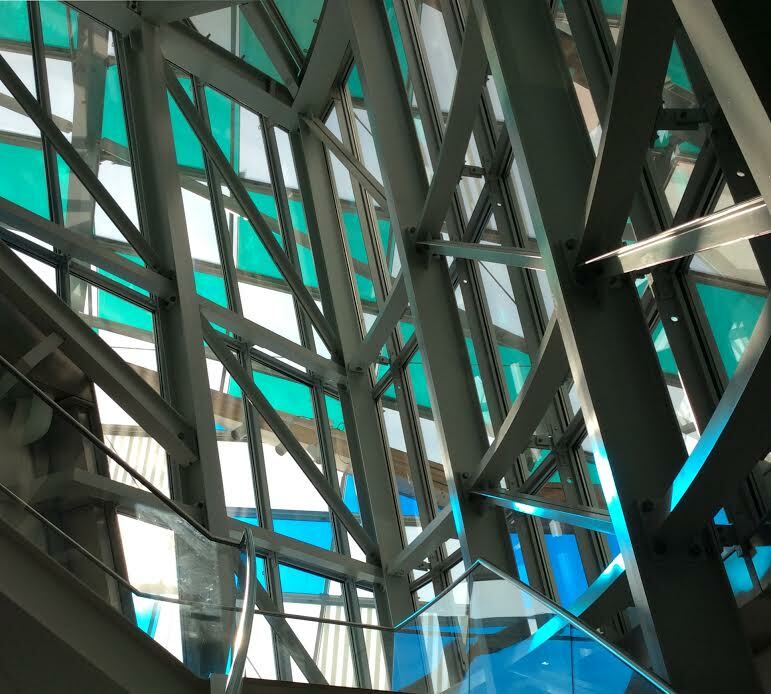 An artistic art lover and major, visionary collector. From 1890 he resided in his father’s grand home, a former palace of the Trubetskoy prince. Shchukin (or Chtchoukine) began buying works by artists of the contemporary Russian realist school, known as ‘The Wanderers’. In 1898 he decided to focus on the newest French painting and formed close relationships with leading French dealers – the most well known being Daniel-Henry Kahnweiller and Paul Durand-Ruel. Within two decades, Shchukin had acquired 275 works of art, which reflected the most radical art movements of the day. He was, without exaggeration, at the heart of the artistic revolution not just in Russia, but the world. 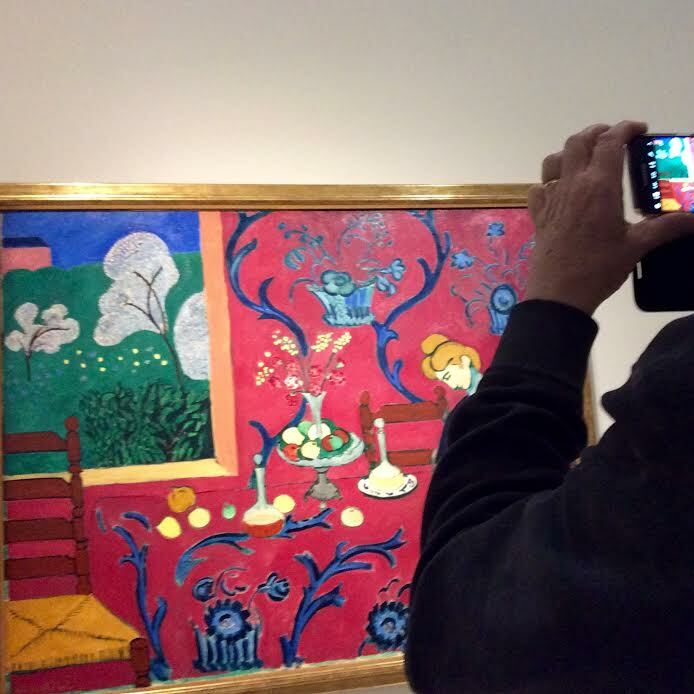 On his walls, hung literally so close together they were almost touching, were paintings by Monet, Cezanne, Gaugin, Matisse, Derain, and Picasso. At first, people couldn’t make out where one ended and another began. Similar to one big fresco. 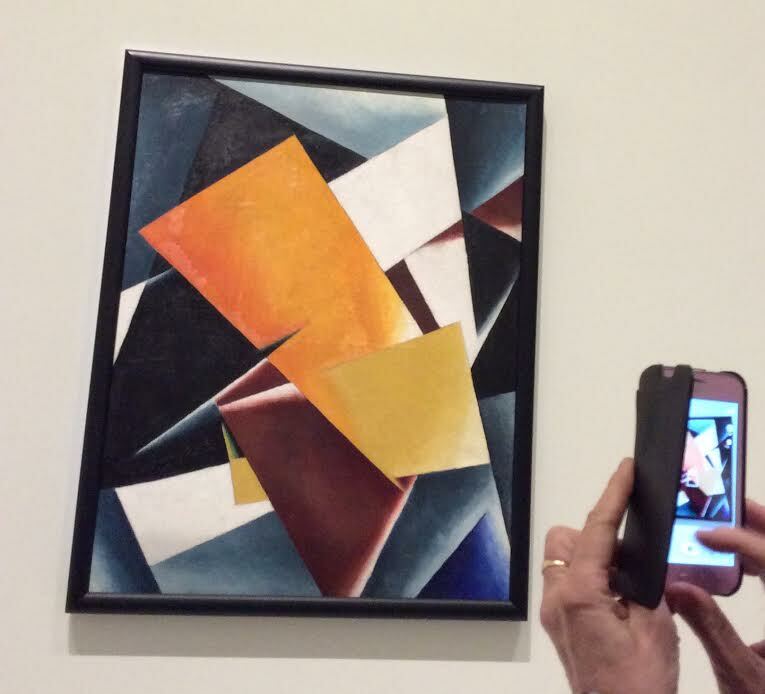 He also bought works by the Russian Avant-Gardes such as Malevich and Rodchenko and arranged his acquisitions following a sensitive and didactic system. 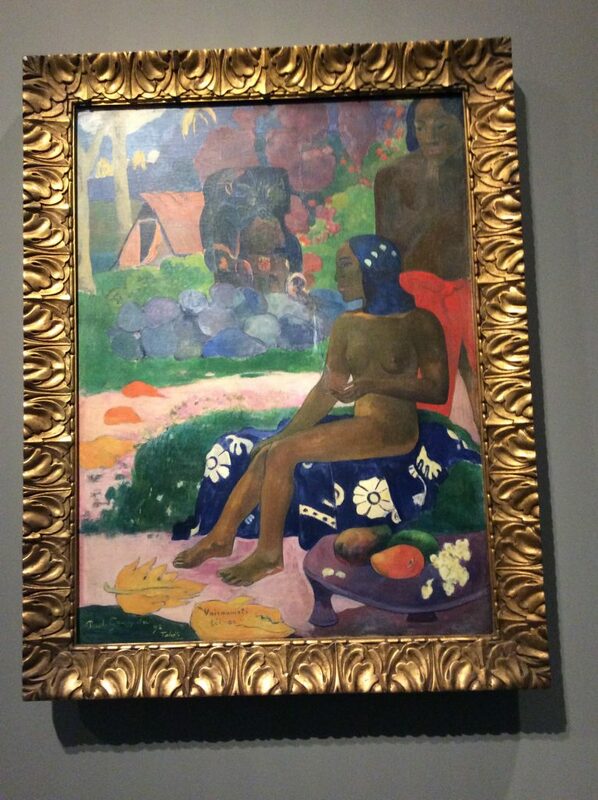 By 1908 Shchukin’s collection attained an almost legendary status in Europe. 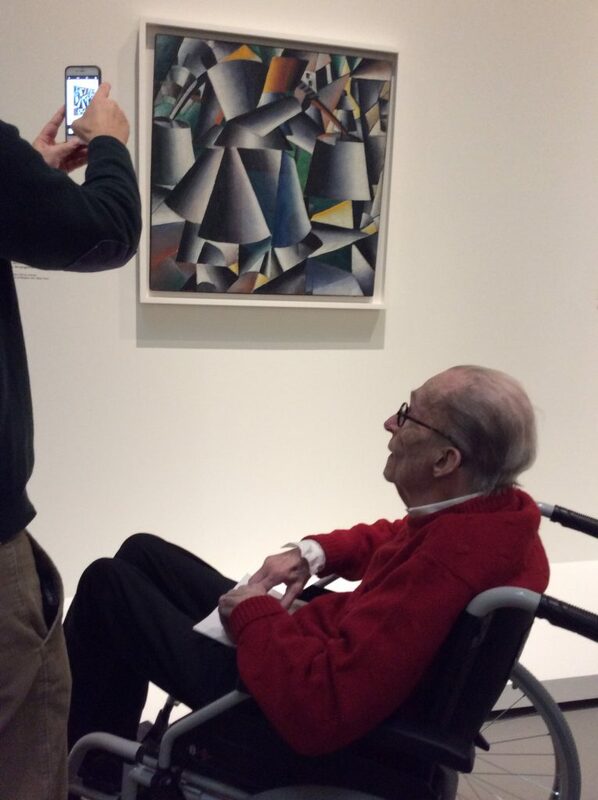 His wealth and his passion for modern art were deemed ‘monstrous’ by his critics. Impressionist, Post-Impressionist, Symbolist, Nabi, Fauve and Cubist paintings were shipped to Moscow direct from their studios, sometimes with the paint still wet. 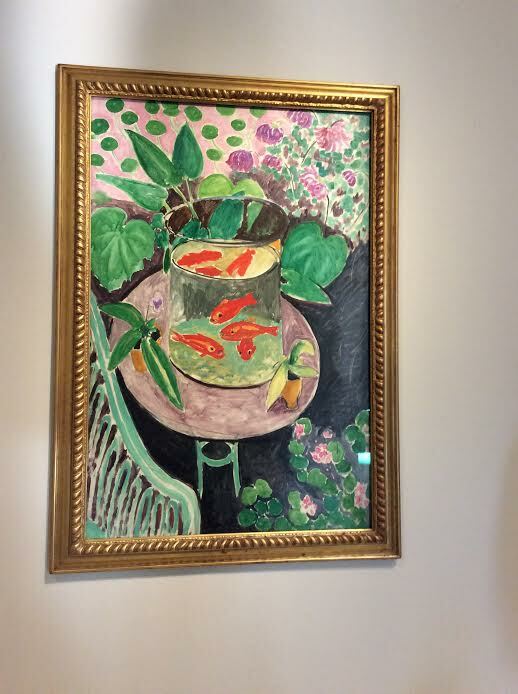 MATISSE was a special favourite of Shchukins and he was commissioned to paint wall panels, La Danse and La Musique, which were intended to decorate the staircase of the Palace. 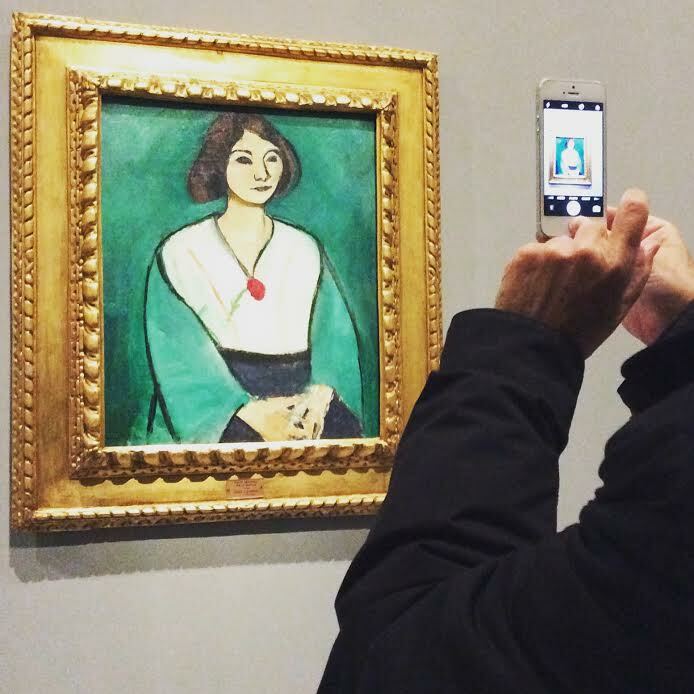 Shchukin opened his collection to interested members of the public – mainly critics and students – every Sunday and they were all staggered by what they saw. 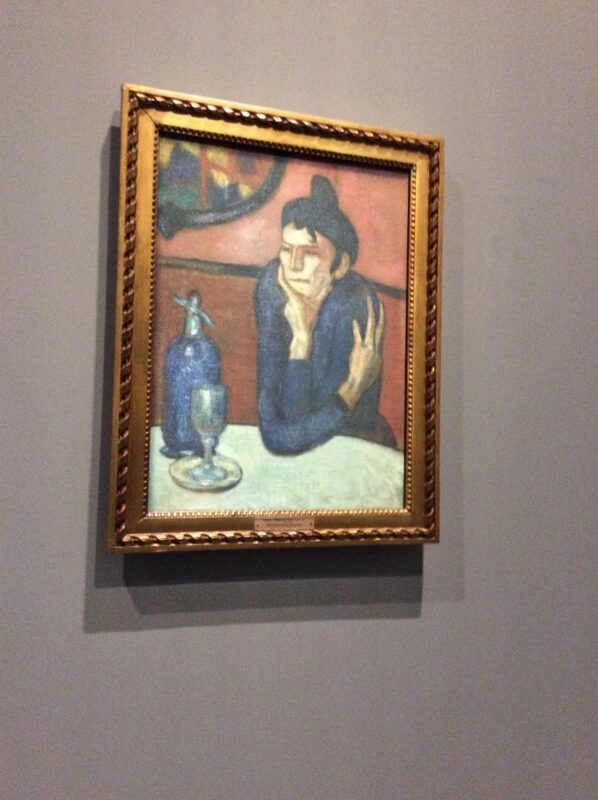 It was an amazing journey of discovery to see Monet, Cezanne, Matisse, Derain and Picasso for the first time. Just imagine the excitement and shock of seeing something so radical? In 1918 Lenin nationalised the Shchukin collection and it became the treasure of the Museum of New Western Painting (1920 – 22). In 1922, it was changed to The State Museum of Modern Western Art, (or GMNZI) the world’s first ever museum of modern art. Divided into two departments this pioneering museum comprised the Shchukin and Morozov Collections which were each kept in their historic homes (the Trubetskoy Palace and the Morozov Mansion). In the late 1920s as part of a struggle against ‘bourgeois art’ the Shchukin collection was divided between the Pushkin State Museum in Moscow and the Hermitage Museum in Saint Petersburg as a result of a decree passed by Lenin in 1948. They disappeared from the walls and publications of these great museums until what is referred to as ‘the thaw’ following Stalin’s death in the late 1950’s when modern French art was once again considered to be respectable in Russia. Picasso, who had joined the Communist Party in 1944, played an active role as a mediator during the period when this heritage was rediscovered and the Picasso retrospective organised at the Pushkin Museum and Hermitage Museum signalled this revival. 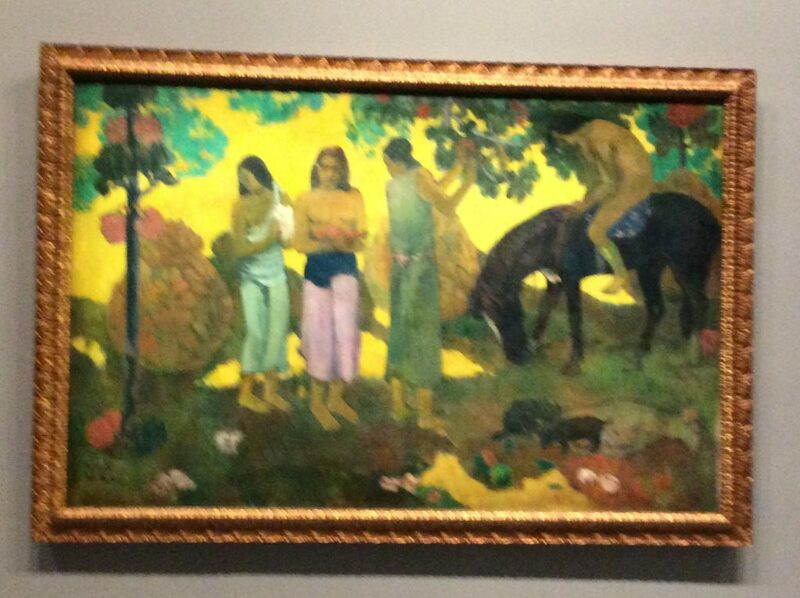 Since the 1990’s Russian museums have lent regularly to exhibitions of modern art in Europe, particularly in France. 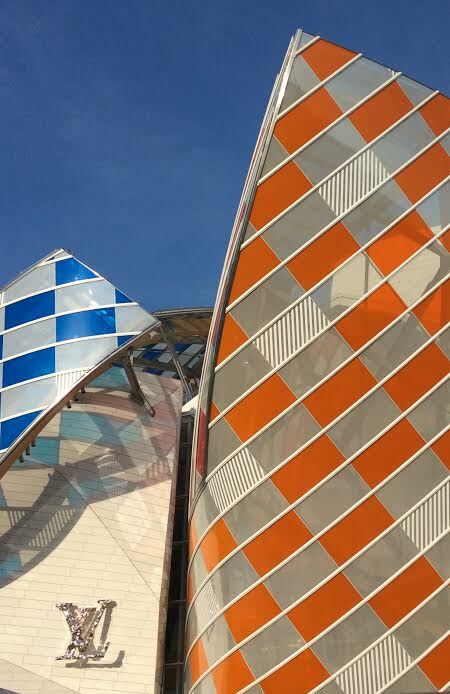 Nothing quite as spectacular as the current exhibition at the Fondation Louis Vuitton, which emphasises the importance of this great Russian collection and its significance in the artistic, aesthetic and philosophical ties between Western and Russian culture during the first two decades of the twentieth century. 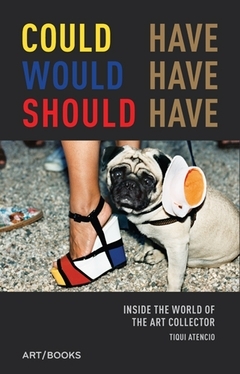 The book is a fascinating read, but really exposes the differences between a major force like SHCHUKIN, a rarity, who profoundly contributed to the cultural revolution in Russia and opened the way to a thrilling new movement in art, with many of the collectors and dealers interviewed in the book. Several coyly hide behind having a problem with the term ‘collecting’ and don’t like being called ‘collectors’. They are passionate and have impressive work bought with intelligence, thought and a great deal of money, but it isn’t comparable. TheEye has been fascinated by the subject of collectors since the early ’80s when she worked for Doris and Charles Saatchi. Like it or not, (and many did not) they were responsible for transforming London into the most important and dynamic centre for contemporary art in the world, overtaking New York which was, by then, looking a little dull and lacklustre. Visitors to the gallery, by appointment only in the early days, in a converted paint warehouse in a nondescript road in St John’s Wood, were awe-struck and sometimes shocked to see the way artists were shown ‘in depth’ – 16 stellar Warhols for example and monumental work they had never previously encountered (Richard Serra, Donald Judd etc occupying an entire wall of the vast space) and the ‘less is more’ style of presentation. The minimalist grey concrete floors and white walls. Many of the visitors TheEye met in those days are featured as major collectors in Tiqui Atencio’s book. In the mid-’80s they certainly were not. Just a small group of enlightened dealers and curators in the U.K. (i.e. London), and an even smaller number of British collectors. What they saw in the Boundary Road Gallery was radical, provocative, inspiring, and totally unique, but sadly that outstanding and important collection has long since disappeared. 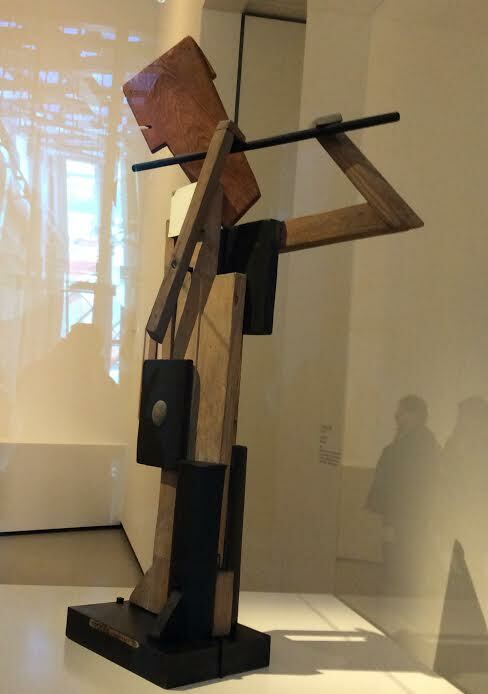 Don and Doris Fisher, founders of The Gap, for example, came curious and interested but knowing little and today the Fisher Collection (much acquired from the Saatchi’s) is prominent in the wonderful MOCA San Fransisco of which they were joint sponsors. 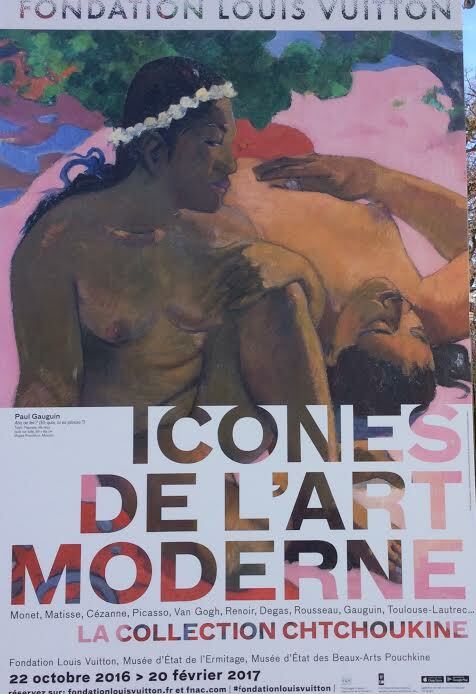 We thought of you yesterday, 6 of us had a day in Paris and loved the Shechukin collection. We had a cleat bright day too. Lucia arranged for us VIP entrance, so straight in. That was a bonus. Thanks for inspiring start to the day dear jan! Thank you for sharing this, totally fascinating and thought provoking. The wonderful Russian art collector I had never heard of, shame on me, but thank you I will delve into this. It has given a great start to 2017. Yes you too Happy New Year, last year was one to remember and recover from and NOT repetit.